Diamond Lapping Compounds are manufactured from mixing of fine diamond powder in a liquid or oil base which is used for cutting action and longer operation life. 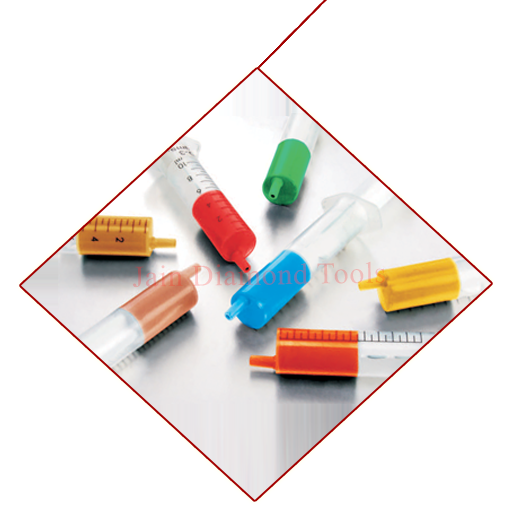 To maintain a constant viscosity over a wide temperature range these are specially formulated. These properties make the paste an efficient tool in the very high precision industries where finish and cleanliness are utmost important. Plug, Ring & thread gauges. Water Soluble Diamond Lapping Compound. Oil Soluble Diamond Lapping Compound. These comes in different grades and color coding. Normally it comes in 5 cc Syringe.